A beautiful, comfortable, functional smile requires a full set of strong, healthy teeth. If you’ve lost one or more teeth to decay, trauma, or disease, our dentists can restore your quality of life with natural looking dental implants. Many patients turn to dental implants because they seek a prosthetic tooth or teeth that look and feels like nature intended. Implants feature a prosthetic root and crown, so they mimic natural tooth structure. No adhesives or clasps are required, and you will never have to worry about mouth irritation or embarrassing slippage. Cared for properly, dental implants can last a lifetime. 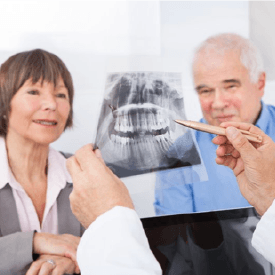 One of the most common issues with tooth loss is bone resorption. When teeth are missing, the alveolar bone and the jaw bone begin to resorb back into the body to areas where it’s more needed. This results in a weakened jaw and reduced biting force, making it incredibly difficult to chew certain foods. Implants are the only solution that stimulates the bone and prevents this process from happening, allowing you to eat foods naturally without issue. If you’re concerned about surgery, you can rest knowing that eligible candidates can expect very high success rates with implants. On average, dental implants have a success rate as high as 98 percent, even after 10 years of use! That’s 10 years of chewing, grinding, laughing and smiling with the confidence that other tooth replacement options cannot guarantee. As a bonus, implant-retained crowns cannot develop cavities since they are made of inorganic material, offering you additional protection from decay. Dental implants are biocompatible, meaning they’re designed to integrate with the body’s natural bone and tissue. It is this bond that allows implants to last for so many years and essential to the implant process. Once the implant is initially placed, it’s given several months to heal and bond to the jaw bone. Once fully healed, an implant-retained crown will be placed on top, acting as your new permanent tooth. You’ll treat the implant just like a natural tooth and practice the same routine care you do for your existing teeth. Just make sure to avoid all tobacco products as they negatively affect the healing process and increase the risk of implant failure. Dental implants aren’t only designed to replace one tooth. In fact, their versatility allows our team to rebuild your entire smile! Single teeth are given a single implant and implant-retained crown. They can be placed either in the top or bottom arch, but this will influence the amount of time needed for healing. If you have consecutive missing teeth, we can use an implant-retained bridge and two implants to rebuild your smile. Implant-retained bridges are similar to traditional bridges except they do not require the process of buffing down natural teeth to place. 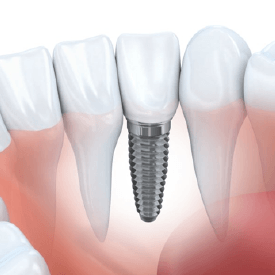 Instead, they use an implant on either end of the bridge to hold one larger restoration connecting the crowns in between them. By strategically placing four to six implants, our dentists can replace an entire arch of teeth, both upper and lower. 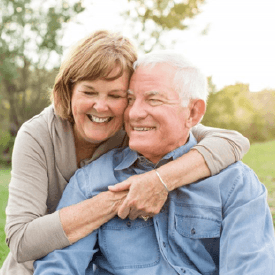 In this instance, a denture is customized to fit with dental implants and act as a fixed device, as opposed to a removable one like with traditional dentures. Good oral health and adequate jawbone structure are necessary to support dental implants. If you're a candidate, Dr. Cheng, Dr. Thorburn and Dr. Tijerina can surgically place tiny titanium posts in your jaw, one for each implant crown or a few to support a bridge, partial, or denture. Some implants allow for immediate attachment of a restoration, while others require a healing process prior to attachment. Dr. Cheng, Dr. Thorburn and Dr. Tijerina can consult with you to determine the best option for your unique case. The cost of dental implants will always very from person to person based on a few key factors. The most influential factors is the number of implants needed to rebuild your smile, which will also influence the type of restoration and the amount of abutments needed. The price can vary depending on the preparatory treatments needed to make placement viable, including bone grafts, sinus lifts and periodontal therapy to treat infected gum tissue. Remember, dental implants are considered a long-term investment and typically cost less than replacing other tooth replacement options over several decades. To find out how dental implants can improve your smile, call our Fort Worth office today to schedule your consultation with one of our skilled dentists. Our progressive dental practice is convenient to Crowley, Aledo, Weatherford, and surrounding areas.